Holly began in 2008. 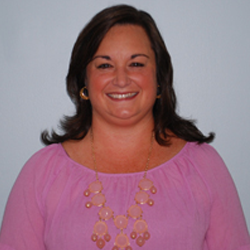 She is a certified post-mastectomy and compression fitter for our Montgomery and Opelika offices. Although Holly was first introduced to the O&P world in 1991 when she met her husband, Woody, who is a bilateral below knee amputee. Together they started CAST Ministries (Christian Amputee Support Team). Holly and Woody keep busy with their children and their families. They live in Auburn and enjoy spending time together with their pets, staying active at their church, working with CAST Ministries, and going to Auburn sporting events. The most recent addition to their lives is the CAST Life Center, a Lake Martin retreat center for amputees and their families.